Spearheaded by Oklahoma native Zac Maloy: the Oklahoma Songwriter’s Festival will be a multi-day event that will serve as an invaluable opportunity for local songwriters, musicians, music fans or anyone working in or interested in the music industry. Dinner and conversation with four Nashville songwriters followed by a short round of music. Meet at 21C Hotel at 6:30pm – transportation will be provided to and from the restaurant. Hosted by Grand Casino Hotel & Resort and Zac Maloy in conjunction with the Oklahoma Songwriters Festival. SEATS ARE VERY LIMITED! PURCHASE TICKETS HERE. 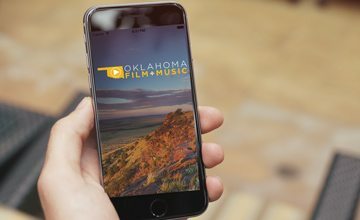 Hosted by the Oklahoma Film + Music Office (OF+MO). There will be discussions on songwriting, publishing and the music business as well as a panel presentation and a drawing for one on one workshops. To RSVP send an email to osfoffice@icloud.com. World renowned songwriters descend upon OK to collaborate & celebrate Oklahoma’s music & musicians. The Saturday evening show at Tower theatre will feature a songwriter round/showcase; where songwriters perform hits they’ve written and tell the stories behind the songs. April 13, 2019. National performers include Brett James (“Jesus, Take the Wheel”), David Hodges (“Because of You”), Marcus Hummon (“Bless the Broken Road”) and Zac Maloy (The Nixons). Local featured songwriters include Graham Colton, Beau Jennings, Kinsey Charles and Tyler Hopkins; with special appearances by Jabee and Tyson Meade from The Chainsaw Kittens.